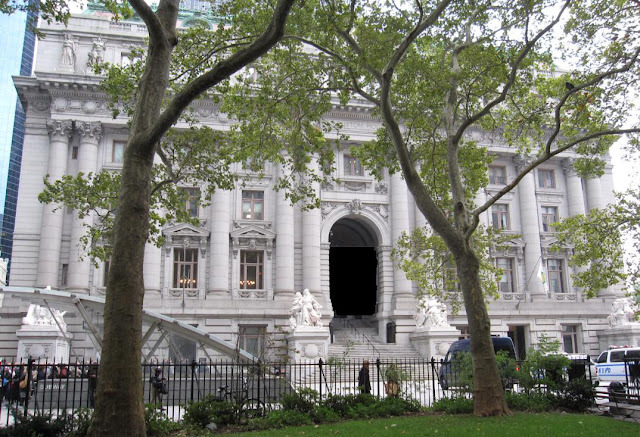 Last month it was announced by The National Archives and Records Administration (NARA) a fall 2012 opening of the new location for the National Archives at New York City—the Alexander Hamilton U.S. Custom House at One Bowling Green in Lower Manhattan. “This exciting new venture will bring the records of American history to life through exhibitions, educational and research opportunities, an expanded research room, and public programs for hundreds of thousands of new visitors each year. We are thrilled to bring the National Archives to New York City – a location close to my heart” said Archivist of the United States David S. Ferriero, who formerly served as Director of the New York Public Libraries. The National Archives’ New York research facility was on Varick Street in Greenwich Village for 20 years. The new location at the Alexander Hamilton U.S. Custom House will provide greater visibility and accessibility to the important Federal records originating in New York, New Jersey, Puerto Rico, and the U.S. Virgin Islands. It will allow the Archives to expand its research functions in New York and create a new educational destination in a building that already welcomes museum visitors through the Smithsonian’s National Museum of the American Indian. The new educational spaces and exhibitions are made possible by a public-private partnership between the National Archives and the Foundation for the National Archives. · A Welcome Center to introduce visitors to the National Archives and the depth and diversity of Federal records. The Center will feature a small exhibition gallery with a changing selection of original documents from the National Archives, in addition to an opening exhibition in the grand rotunda of the Alexander Hamilton U.S. Custom House. · A Research Center for scholars, genealogists, and the general public to conduct their own research using original records and microfilm holdings with the assistance of professional archivists. Researchers will have free access to resources including online subscription services such as Ancestry, Fold3, Heritage Quest, and ProQuest. · A Learning Center to welcome school groups and families and to encourage them to explore National Archives records through workshops, school programs, online access, “Archival Adventures,” and more. · Exhibitions in the Alexander Hamilton U.S. Custom House Rotunda featuring holdings from the Archives. The opening exhibition, “The World’s Port: Through Documents of the National Archives,” opens September 21, 2012, and runs through November 25, 2012. · Public Programs in the Welcome, Research and Learning Centers and in the Alexander Hamilton U.S. Custom House’s 300-seat theater and lecture halls to highlight the nation’s history and New York’s special role in shaping the nation. Outreach programs will increase awareness of National Archives resources in New York and nationwide.